The silver metal plastisol lined lug caps are compatible with lug twist open containers. 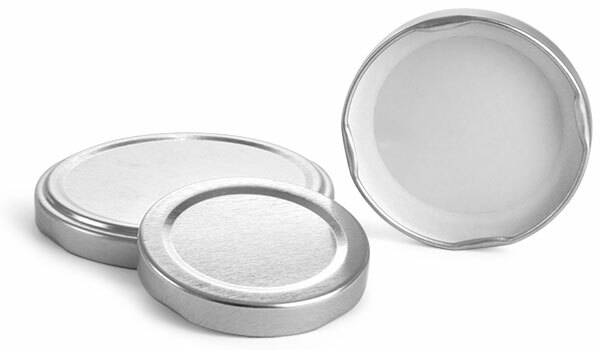 When the silver metal caps are placed on their compatible containers, suggested heating methods will heat the plastisol liner causing it to solidify creating a seal between itself and the container. Click the add-ons button below to view compatible containers for each size. As always be sure to test all products with closures for proper compatibility.